San Francisco Chronicle: The Year's Finest: Best Books of 2004 The Painting by Nina Schuyler (Algonquin Books; 299 pages; $23.95): According to the tenets of Buddhism, life is suffering, and suffering arises inexorably from desire, from the act of wanting. 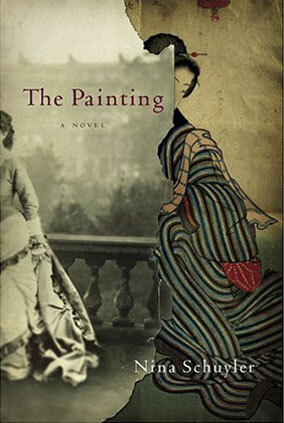 Nina Schuyler makes a fearless debut with "The Painting" (Algonquin Books, $24). Not only does Schuyler take on characters in 1869 Japan, she creates a parallel story of characters in 1870 France. And what's more, each of the separate stories is equally compelling. First and foremost: This is one of the best books I've read this year in spite of the historical improbability laid out at the novel's end. Ayoshi, a woman artist in 1869 Japan, paints in order to remember her lost lover.